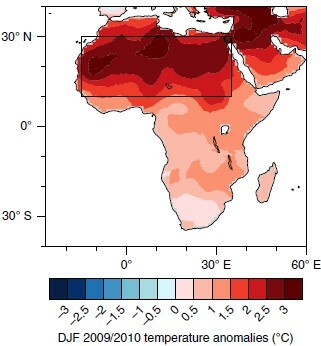 The tropical circulation change under global warming arises great attention around the world in recent decades. It has a close relationship with the tropical precipitation change, and the uncertainty in its projection is one of the difficulties in climate projection. 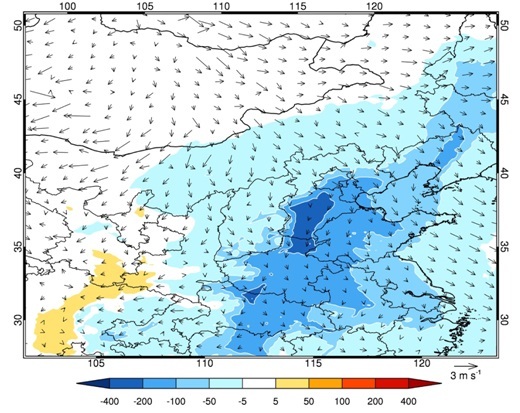 A special review by Prof. HUANG Gang from the Institute of Atmospheric Physics (IAP) of the Chinese Academy of Sciences and Prof. MA Jian from Shanghai Ocean University, along with their collaborators, described the climate change-induced responses of the tropical atmospheric circulation and their impacts on the hydrological cycle. Published in Annual Review of Earth and Planetary Sciences, the review also depicted theoretically predicted changes and diagnosed physical mechanisms for observational and model-projected trends in large-scale and regional climate. 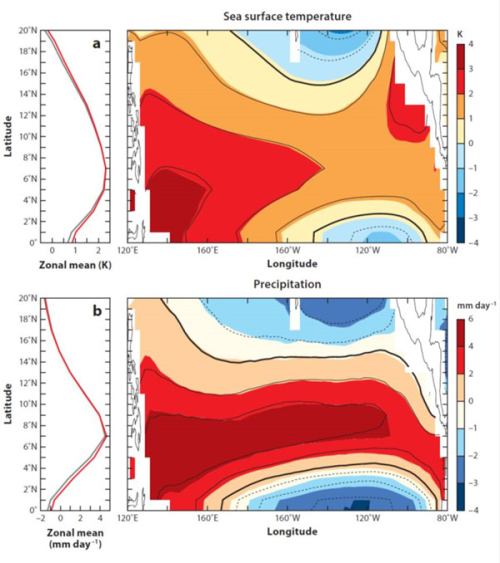 For the large-scale circulation, the tropical circulation slows down with moisture and stratification changes, connecting to a poleward expansion of the Hadley cells and a shift of the intertropical convergence zone. Redistributions of regional precipitation consist of thermodynamic and dynamical components, including a strong offset between moisture increase and circulation weakening throughout the tropics. This allows other dynamical processes to dominate local circulation changes, such as a surface warming pattern effect over oceans and multiple mechanisms over land. 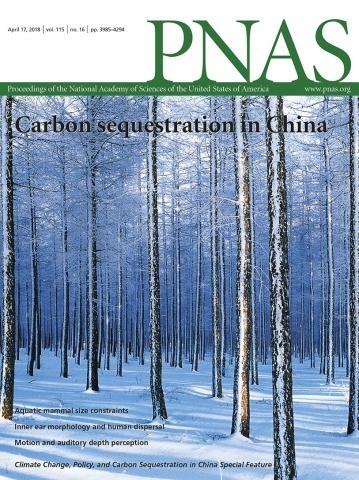 To improve reliability in climate projections, scientists suggested that more fundamental understandings of pattern formation, circulation change, and the balance of various processes redistributing land rainfall were needed.